Emerging technologies such as Artificial Intelligence (AI), edge control, blockchain, Industrial Internet of Things (IIoT), and digital twins are all fueling the pace of transformation within Oil & Gas operations. Due to constrained oil prices, many Oil & Gas companies, partners, suppliers, and customers needing to reevaluate their cost and expense models, will have to adopt these new technologies to help achieve results. In this new world order, those who learn to master the nuances of the new relationship between data, analysis, cost savings and profitability will be the winners. Success in this data-driven environment will require a new level of understanding both of how the market behaves and of which processes are necessary for Oil & Gas companies to thrive. In fact, marketplace real-time data will now need to be directly linked to internal Oil & Gas process dynamics in order to achieve profit-driven optimization of operations. The new mix of technology enablement and marketplace uncertainty can help adopters to gain competitive advantage. If their digital transformation projects are properly executed, adopters can take the leap forward while their competition remains stagnant. The gold at the end of the rainbow, as it pertains to Oil & Gas process digitalization, is improvement in business agility. Consider the IIoT trend that has mushroomed over the last several years. Affirmation that the promise of IIoT is getting delivered is becoming more evident as digitized applications proliferate across the Oil & Gas value chain. Currently, some of the most advanced initiatives involve virtualization and simulation of physical asset operation; projects that can scale as high as simulation of the operation of an entire plant. These advanced simulations, known as a “digital twins”, provide digital models of physical assets and reflect what a real plant will look like and how it will operate. Much in the same way manufacturers used to build prototypes of products before they were released for mass production, digital twin technologies allow for testing of “what if” scenarios without having to build out an expensive prototyping infrastructure. In early design phases, digital twins can help evaluate design integrity and identify any constraints. The process also helps prevent both under- and over-design of any plant equipment. The same model analyzes the data inputs during operations and then uses that data to run simulations and benchmark performance, allowing plant operators to pinpoint where efficiency gains within the plant construct can be made. 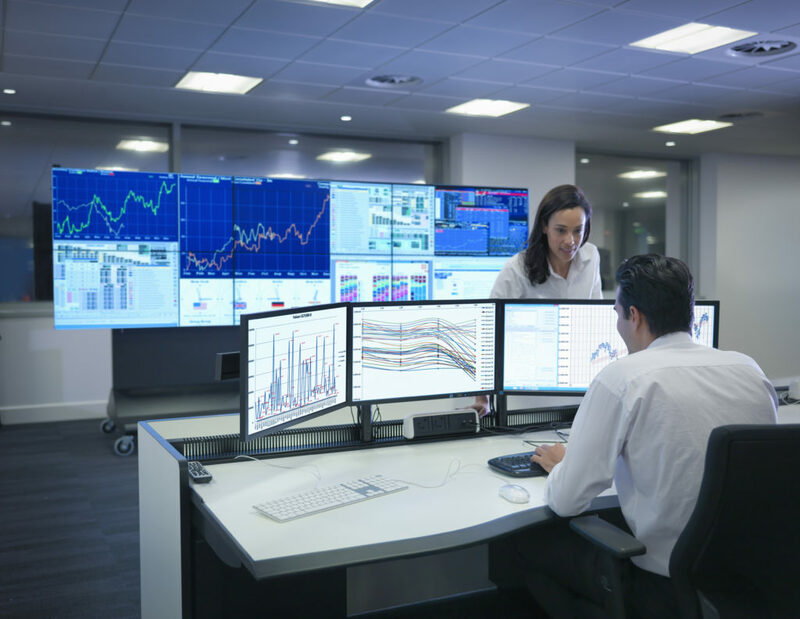 By pairing both virtual and physical worlds (the twins), analysis of data and monitoring of systems can predict where problems are likely to occur, so that plant design can be modified to limit downtime and enhance operational efficiency. Such simulations provide a more effective assessment of both a current system’s capabilities and a future system’s potential and can be applied to a plant throughout its lifecycle from design to operations and optimization. The digital twin allows for the observation of the targeted physical assets and enables learning from both past and present operations to make predictions about future operations. This knowledge is incredibly powerful because it allows the identification of problems before they happen, resulting in safe, more efficient and profitable operations. Tools like digital twins help stakeholders formulate the most profitable operations in terms current (and predicted) market conditions. These tools are just one example of how Oil & Gas companies can harness the true potential of digital transformation by injecting innovation at every level of their Information Technology (IT) and Operations Technology (OT) systems, thereby transforming the efficiency of the Oil & Gas value chain.